The parsnip (Pastinaca sativa) is a root vegetable closely related to the carrot and parsley. Its long tuberous root has cream-colored skin and flesh and can be left in the ground when mature as it becomes sweeter in flavor after winter frosts. Here are the 7 health benefits of parsnip. Parsnip is an excellent source of fiber. A one-cup serving of parsnip contains 7 grams of dietary fiber. The daily recommended dietary fiber intake for men and women are 38 grams and 25 grams, respectively. Fiber can help prevent constipation, making your bowel movement easier to manage. 3. Parsnip can help individuals fight infections. Fresh parsnip contains 38 percent of the vitamin C daily requirements per cup. Vitamin C is a powerful natural water-soluble antioxidant that helps the body develop resistance against infectious agents and eliminates cancer-causing free radicals in the body. 4. Parsnip can help the bones stay healthy. One cup of parsnip contains 37 percent of the daily needed vitamin K. Adequate vitamin K consumption acts as a modifier of bone matrix proteins, improves calcium absorption, preventing bone loss and osteoporosis. 5. Parsnip can help maintain a healthy blood pressure. Parsnip has a very high content of potassium and a low content of sodium. One cup of parsnip contains a whopping 499 milligrams of potassium, compared to 13.3 milligrams of sodium. Folate also contributes to the reduction of hypertension and relaxes blood vessels, while maintaining proper blood flow. Several components of parsnip, such as potassium, folate, and various antioxidants are known to provide neurological benefits. Folate has been known to reduce the occurrence of Alzheimer’s disease and cognitive decline. Potassium has been linked to increased blood flow to the brain and heightens cognition, concentration, and neural activity. One cup of parsnip contains 12 percent of the recommended daily needs of folate. 7. The parsnip is an ideal source of manganese. Manganese is essential for many enzymes that control blood sugar, energy metabolism, and thyroid function. 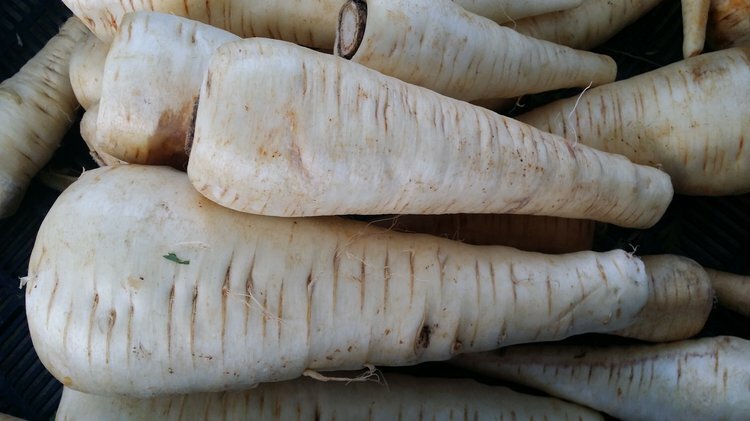 One cup of parsnip accounts for 37 percent of the recommended value of manganese. Deficiencies in manganese could be associated with impaired fertility, growth retardation, congenital disabilities, and general weakness. Tessmer, Kimberly. The Everything Nutrition Book: Boost Energy, Prevent Illness, and Live Longer. No ed. Avon: Adams Media Corporation, 2003. 304. Print. Gennart, J. P., Buchet, J. P., Roels, H., Ghyselen, P., Ceulemans, E., & Lauwerys, R. (1992). Fertility of male workers exposed to cadmium, lead, or manganese. American journal of epidemiology, 135(11), 1208-1219. Black, M. M. (2008). Effects of vitamin B12 and folate deficiency on brain development in children. Food and nutrition bulletin, 29(2_suppl1), S126-S131. Binkley, N. C., & Suttie, J. W. (1995). Vitamin K nutrition and osteoporosis. The Journal of nutrition, 125(7), 1812. Shearer, M. J. (2000). Role of vitamin K and Gla proteins in the pathophysiology of osteoporosis and vascular calcification. Current Opinion in Clinical Nutrition & Metabolic Care, 3(6), 433-438. Ramonet, Y., Meunier-Salaün, M. C., & Dourmad, J. Y. (1999). High-fiber diets in pregnant sows: digestive utilization and effects on the behavior of the animals. Journal of animal science, 77(3), 591-599.